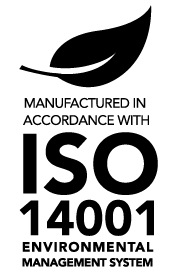 TAL products are manufactured and tested in accordance with TAL procedures, which are maintained to be in line with Quality Control System Standard ISO 9001:2015 and Environment Management System ISO14001:2004. TAL products are guaranteed to be free from manufacturing defects and fit for design purposes. This guarantee is subject to the performance of TAL products when used strictly in accordance with our materials and methods specifications for the particular project, and where good workmanship is practiced. However, we have no influence over specific site conditions and therefore, if in doubt, the user must always carry out sufficient tests to satisfy himself/herself that the product is suitable for the intended purpose. In special cases, obtain professional advice. TAL cannot be held responsible for the standard of workmanship on site, or any other problems caused by unsound structures or foundations, deflections of slabs or backgrounds, vibration, creep movement of the structure, etc, or any other products which have been adulterated, contaminated or misused in any way. The aforementioned list is not exhaustive. Note: we require timeous notification of an alleged defect and the opportunity to assess and investigate the problem to our satisfaction, prior to any remedial work whatsoever being carried out. Please click here to view a list of National Tiling Contractors. Please note that the list of contractors only do commercial installations and DO NOT do ANY domestic tiling. What to do about soft crumbling grout?